Welcome the New Year in with Nova Scotia sparkling wine. Forget the French, Californian and other sparklers, Nova Scotia is bubbling over with traditional Champagne method sparkling wine. Nearly 50% of Nova Scotia’s wineries have produced award winning, TM sparkling wine – the largest percentage per wine region in Canada. All have several sparklings on offer and several are almost sold out. TM or Traditional Method sparkling wine is bottle fermented on its lees for an extended period of time – the longer the better and pricier the wine. Benjamin Bridge has certainly been the #1 high flyer this year. It has broken through provincial barriers with its Brut Reserve 2007 which is now being sold in NS, PEI and Ontario for $74.95 . Benjamin Bridge has received international acclaim as possibly the best champagne style wine producer in Canada It’s 2004 Blanc de Blanc LD sells for a whopping $279.50 only to the connoisseurs in its wine club.The 2009 Brut which is a blend of l’Acadie, Chardonnay and Seyval sells for $44.50. Their resident winemaker, Jean-Benoit Deslauriers, is advised by Canadian celebrity wine consultant, Peter Gamble and international French Champagne guru, Raphael Brisbois. With star power like that behind him, there is a lot of sparkle in each bottle. Gina Haverstock, winemaker at Gaspereau Vineyards made her name in traditional method wines with her 2009 Pinot Noir Natural Brut winning gold at the last Canadian Wine Awards in 2012. Her Riesling Brut and 2009 Chardonnay Brut both won awards at the 2012 International Tasters Guild. Prices for the three wines ranged from $44.95 to 37.95. Only the Chardonnay remains in stock. 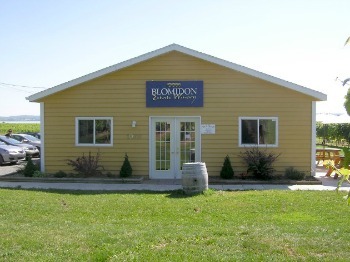 Blomidon Estates has also gained national and international attention for its TM sparklings at the Rediscover Canadian Wines event held in London England in May, 2013. Winemaker, Simon Rafuse, has two TM style sparklers on offer. The Cuvée L’Acadie 2010 was voted best sparkling at the Atlantic Wine awards and is nicely priced at $30. The 2011 Crément which sells for at $25 took silver at the 2013 National Wine awards. Both are available for sale. Jurg Stutz at Domaine de Grand Pré used a blend of L’Acadie and Seyval for his Champlain Brut which won gold at the 2010 Atlantic Wine Awards and bronze at the 2012 Canadian wine awards . It sells for $29. Their Cuvée Grand Pré is the same blend of wines which had a dosage of Vidal icewine added when the bottle fermented wine was disgorged. The unusual dosage makes for a wonderful taste but removes it from sparkling wine competitions so there are no medals other than consumer approval. Its price is $34.50. Both wines are still in stock. Who would have thought you could choose from 11 Nova Scotia traditional method sparkling wines for New Year’s Eve ranging from $279.50 to $25? For more drama in opening your New Year’s Bubbly, you might want o try out the saber method of opening sparkling wine , watch the video sent to me by Leanne Froese, a wine marketing specialist in BC. Seems especially appropriate for that 2004 Benjamin Bridge Brut Reserve LD.